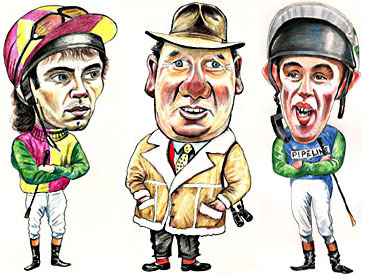 If there is a racing fan in your family have them depicted at the races or in their favourite colours! 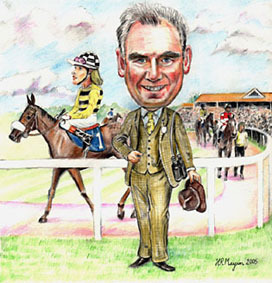 OWNERS, TRAINERS, JOCKEYS OR JUST RACING FANS! 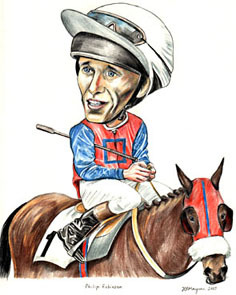 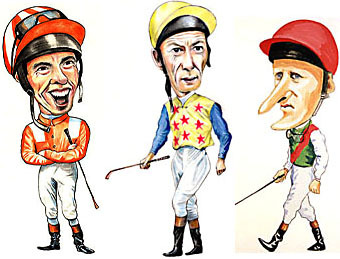 Your favourite jockey in racing colours of your choice! 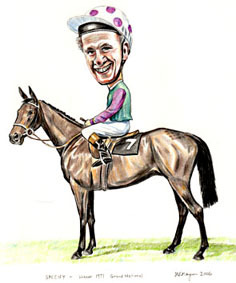 Delivered within 2-4 weeks of receipt of your order! 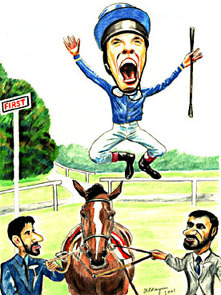 Ideal gift for the racing fan!